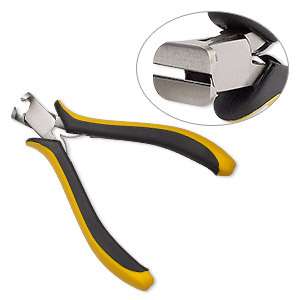 Pliers, OHM, short chain-nose, carbon steel and rubber, black and yellow, 5 inches. Sold individually. Pliers, OHM, short round-nose, carbon steel and rubber, black and yellow, 5-1/4 inches. Sold individually. 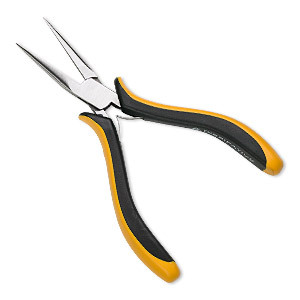 Pliers, OHM, long chain-nose, carbon steel and rubber, black and yellow, 6 inches. Sold individually. 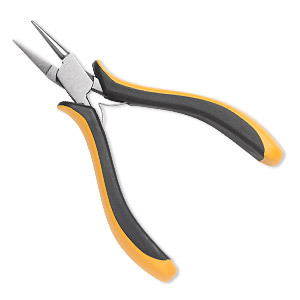 Pliers, OHM, nipper, carbon steel and rubber, yellow and black, 4-1/2 inches. Sold individually. 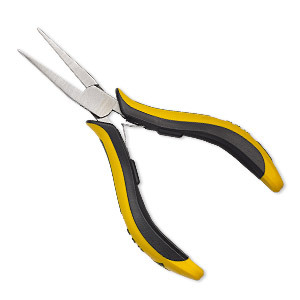 Pliers, OHM, short flat-nose, carbon steel and rubber, black and yellow, 5 inches. Sold individually. 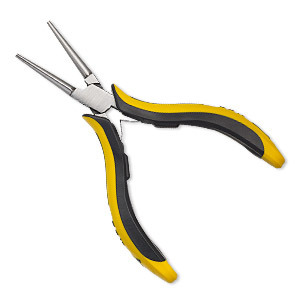 Pliers, OHM, curved chain-nose, carbon steel and rubber, black and yellow, 5 inches. Sold individually. Pliers, OHM, long round-nose, carbon steel and rubber, black and yellow, 6 inches. Sold individually. 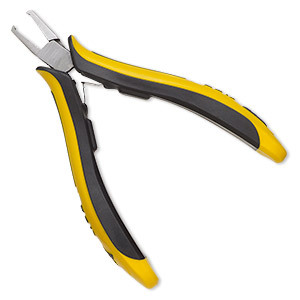 Pliers, OHM, long flat-nose, carbon steel and rubber, black and yellow, 6 inches. Sold individually. 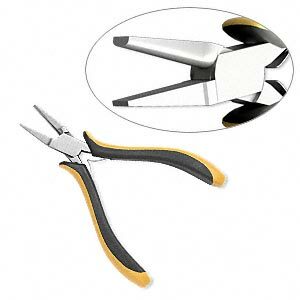 Pliers, OHM, slim-nose nipper, carbon steel and rubber, yellow and black, 4-1/2 inches. Sold individually. 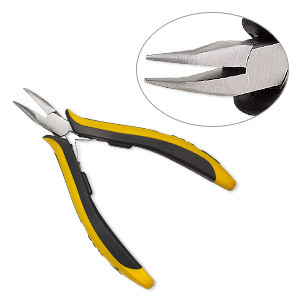 Pliers, OHM, forming convex and flat, carbon steel and rubber, black and yellow, 5-1/5 inches. Sold individually. 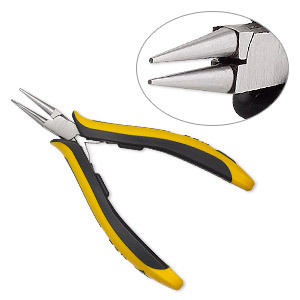 Pliers, OHM forming round flat ergonomic, carbon steel and rubber, yellow and black, 5-1/10 inches. Sold individually. 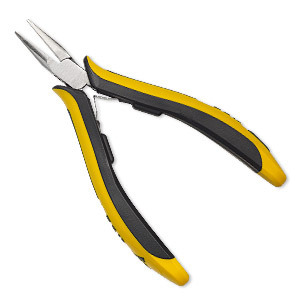 Pliers, OHM, diagonal flush-cutter, carbon steel, black and yellow, 5 inches with ergonomic handles. Sold individually.